ACE Cash Express is situated within the West Acres Shopping Center’s FoodMaxx location on W. Shaw Ave., with N. Valentine Ave. wrapping around the plaza for easier access. Parking should never be an issue at this location. If you’re trying to visit ACE Cash Express but don’t have your own means of transportation, don’t worry, the fair city has got you covered; the Fresno Public Transportation Bus Line #09, #20, and #41 all have a stop at SW Shaw – Feland, right in front of the shopping center. 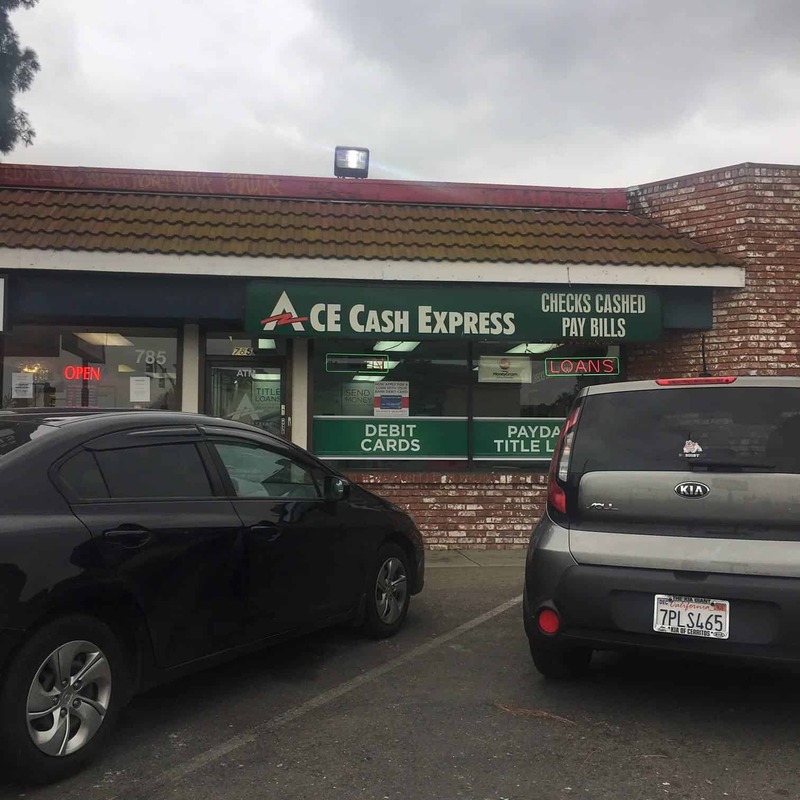 The ACE Cash Express Fresno location couldn’t be in a more vibrant or ideal area! If you’re hungry, SushiCulture, Plaza Ventana, Buffalo Wild Wings, and Red Robin are all within the area. Shopping for food or goods? Aside from the FoodMaxx, Dollar Only, Big Lots, Aaron’s, and Conroy’s Flowers are all in the plaza! There’s even a United Artists theater next door if you need your movie fix! Fresno Residents Could Obtain Auto Title Loans Powered by LoanMart at ACE Cash Express! Getting Started with an Auto Title Loan Powered by LoanMart in Fresno in Just a Few Steps! Apply online, over the phone, or by visiting ACE Cash Express. Submit the required documents to your agent. Applying for an auto title loan powered by LoanMart is convenient and free!1 Why not get started today? Call the toll-free number to apply over the phone. Fresno residents could also go online and submit an information request form! Those without these resources could visit the ACE Cash Express location in Fresno! Once someone is approved, an agent will talk to them about their auto title loan powered by LoanMart and how to obtain their funding at ACE Cash Express!